"Sampath Speaking" - the thoughts of an Insurer from Thiruvallikkeni: Anand wins World Candidates .. set to challenge Magnus Carlsen again..
Anand wins World Candidates .. set to challenge Magnus Carlsen again..
Anand is back………. 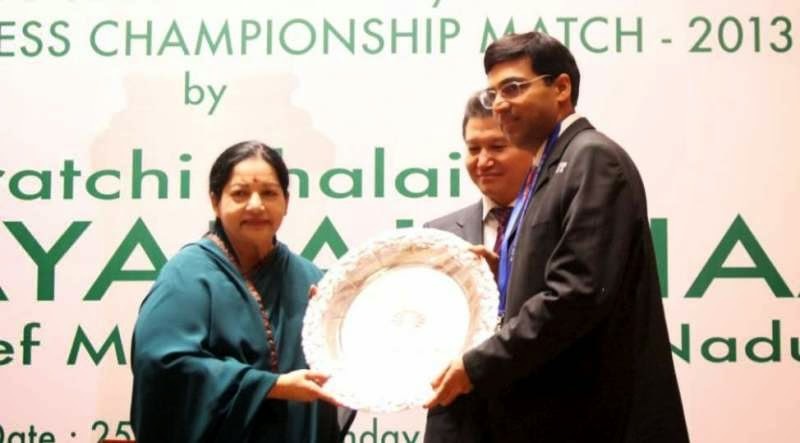 Chennai, the homeland did not prove to the happy hunting ground for our beloved – Vishwanathan Anand – as he was dethroned by the challenger - Magnus Carlsen of Norway—nicknamed the "Mozart of Chess"…. Now the happy news is that Anand has won Candidates earning the right to challenge World Champion Magnus Carlsen…. Rolls reversed ! The Irtysh River flows in Siberia and Kazakhstan and is the chief tributary of the Ob River. On its banks, is located - Khanty-Mansiysk , an oil boom town in Russia, with its inhabitants known as ‘Ob-urgic’ people, based on their langue, which constitutes a language family of some three dozen languages mostly by native speakers of Hungarian, Finnish, and Estonian……… and we are reading about this because of the Candidates match being held there. The World Chess Championship 2014 will be a match between the current world champion, Magnus Carlsenand challenger Viswanathan Anand, to determine the 2014 World Chess Champion. It will be held from 5 November to 25 November 2014, under the auspices of the World Chess Federation (FIDE). Both players appeared in the 2013 Championship. Amid mounting tension, Viswanathan Anand’s defensive skills came to the fore and foiled 24-year-old Russian Sergey Karjakin’s desperate bid for victory. After six hours, the eventual draw gave Anand the title with a round to spare in the World Candidates chess tournament at Khanty Mansisyk, Russia, on Saturday. The Candidates Tournament is a chess tournament organized by the world chess federation FIDE since 1950, as the final contest to determine the challenger for the World Chess Championship. The winner of the Candidates earns the right to a match for the World Championship against the incumbent World Champion. In the early history, it was contested as a triennial tournament, but after the split of the World Championship in the early 1990s, followed with the changes in the determination of the World Champion Challenger, the tournament is held only periodically. The 91-move draw with black pieces took Anand’s tally to eight points from 13 rounds and put him 1.5 points clear of a five-man pack in the second spot. Wishing Anand to beat Carlsen and become the World Champion again soon…..